Horton (1864-1919) was a mystic and an illustrator, and once belonged to the Hermetic Order of the Golden Dawn. He also was a friend of W. B. Yeats and Aubrey Beardsley, by whom his works were inspired. 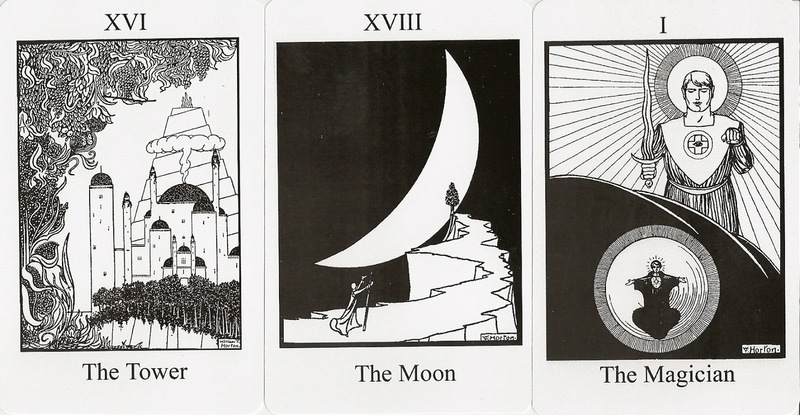 Koretaka Eguchi collected books with illustrations by Horton and realised that many of these illustrations had imagery that paralleled conventional tarot, indeed the images fitted the tarot archetypes without requiring reshaping or collaging. Most of the images for the deck come from Horton’s book “The Way of the Soul”, which was printed in 1910 by William Rider and sons, London. 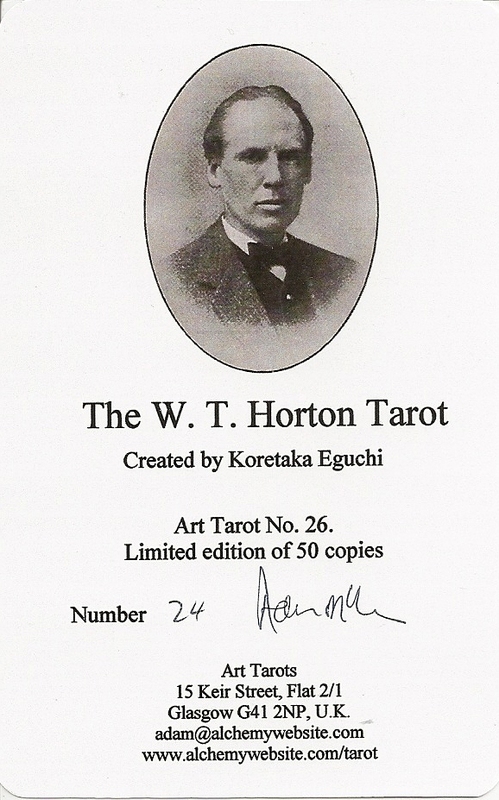 At that time they were also printing Waite’s Pictorial Key to the Tarot and the Waite-Smith deck as well.